My on/off affair with running started about 5 years ago. I can’t really remember the reason I put my trainers on that first day and attempted to ‘pound the streets’! It might have had something to do with my mum, she took up running when I was already an adult and ran the Edinburgh Marathon in her late 40s (trying not to give away your age here, Mum!). There was no denying that she was fitter than me and I was half her age! That first run was painful. Oh so painful. I remember taking money for the bus in case I went too far and couldn’t get back. I needn’t have worried, I barely made it to a mile. I couldn’t even run for 60 seconds without having to stop; my legs, lungs and throat burned, I was over-heating and sweating, my heart was pounding out of my chest and I thought I may throw up. I collapsed through my front door and had to lie down for half an hour. 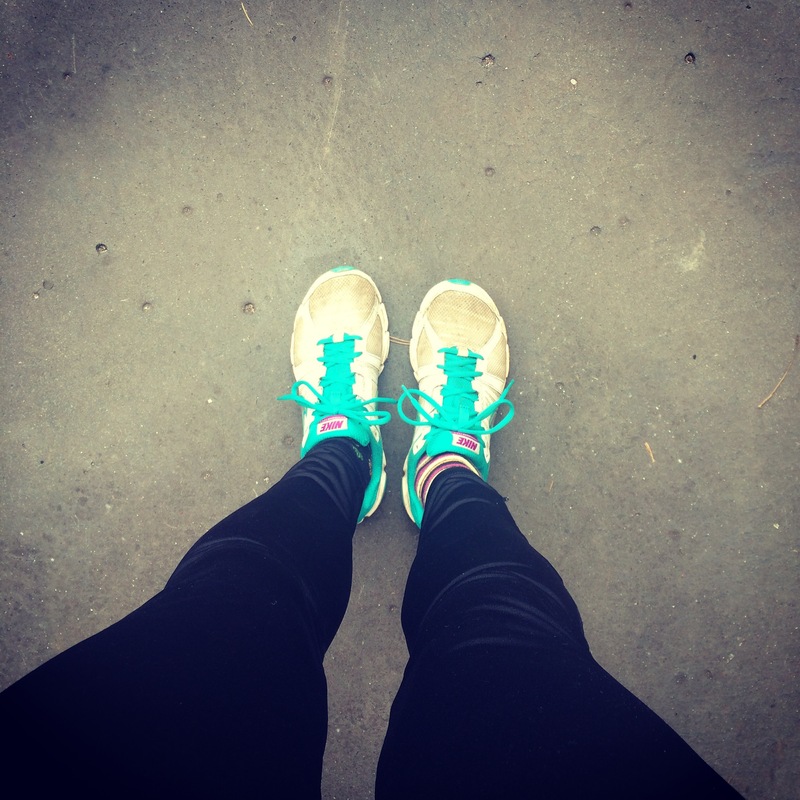 It seemed that running was just a phase for me; pretty soon those runs stopped. I’m sure I had excuses at the time, but they would have been just that, excuses. Over the next few years I’d dip in and out and although I could run for a couple of kilometres now (so, say 15 minutes of running) I never really progressed beyond that point. So in January of 2013 I signed up to run the Bristol 10k with a few people from work. I started training in company again, slowly increasing my distance and before I knew it I could run for over an hour and made it to 11km. I was running 2 or 3 times a week and although I hated the actual running part of it, I loved the sense of accomplishment I’d feel when I’d hit milestones, like distance or time. After that first 10k I stopped again for a few months, sporadically running through the autumn and winter. I wasn’t training for anything so had no real reason to keep up the training. Then something happened and I realised that I’d changed. Shortly after I moved to Bristol I took up rowing. At first it was an attempt to meet new people, but soon I started to feel the importance of keeping fit – a feeling I’d never felt before. However in the winter of 2013 there was an incident in the boat and I got injured. Honestly, I cried so much it was embarrassing! I only got in a boat one more time after that incident, but I was too scared to continue. I quit rowing and suddenly I had nothing keeping me fit anymore. Running was my rowing replacement, I guess, and since then I’ve been running about twice a week. I’ve had my down times, of course, bouts where I didn’t run for a few weeks (for various reasons! ), but I’ve always come back to it. I’ve now competed in a few 10k’s and this year I’m attempting a half marathon… The problem with only enjoying the achievement of running is that I’m now always looking for a new challenge. I’ve always said that I’d never do a full marathon, but after a half marathon it’s the next logical step, right? So, my relationship with running? It’s very much on at the moment and I think it’s getting serious. It’s great to hear that you’re able to push yourself beyond your comfort levels, keep it up! Thank you! Looks like I’ll be heading over to you for fuelling ideas! Your recipes look really good!